Professional version with stainless steel spray cap stepless pressure adjustment with lateral handle. There are four exchangeable nozzles below the spray cap, which clean throughout. 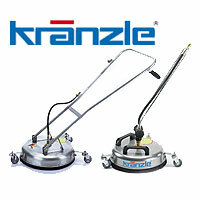 Kränzle® Floor cleaner "round cleaner"
Ideal to clean entraces, pavements, terraces, hall floors and so on. 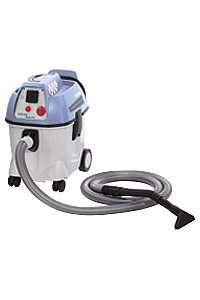 Walls can be cleaned with the smallest device (Ø 300mm). Stainless steel and Brass, which does not need maintenance, 2 fast rotating high pressure nozzles ensure efficient cleaning. A ring brush acts as spray protection. It is equiped with 2 nozzles size 025 (equates 1x 055), can be delivered with different nozzles if required. 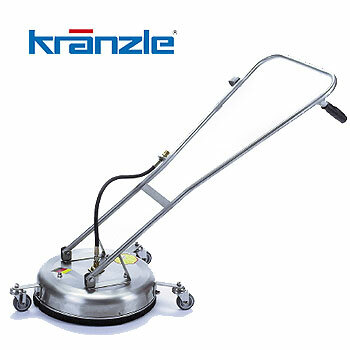 300mm KRÄNZLE-round cleaner-300 n. a. 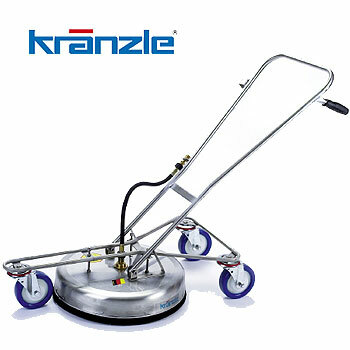 420mm KRÄNZLE-round cleaner-420 n. a. 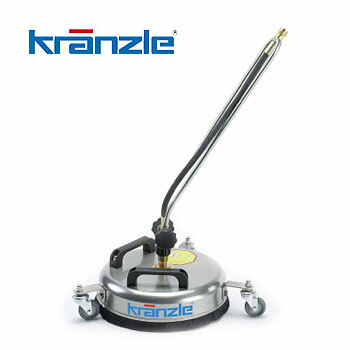 520mm KRÄNZLE-round cleaner-520 n. a. 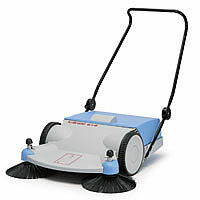 Ideal to clean entraces, pavements, terraces, ship walls and so on. Kränzle® Industrial vacuum cleaner "Ventos 20"
Kränzle® Industrial vacuum cleaner "Ventos 30"